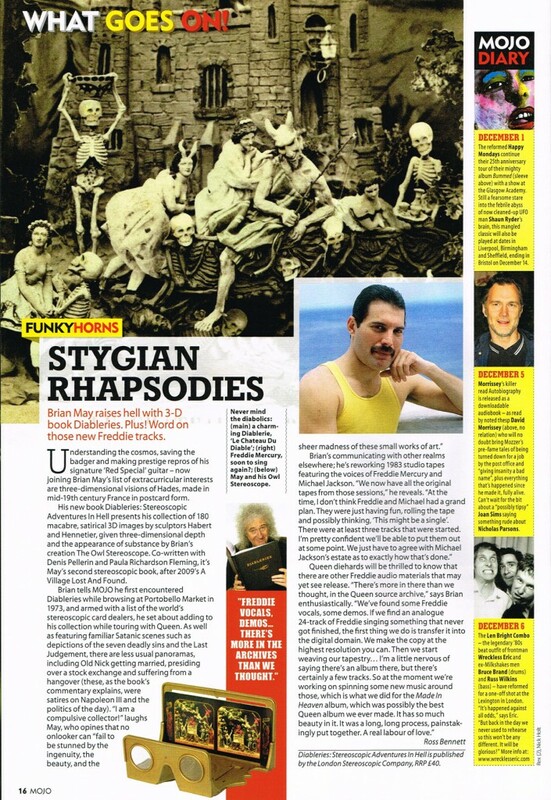 Understanding the cosmos, saving the badger and making prestige repros of his signature ‘Red Special’ guitar – now joining Brian May’s list of extracurricular interests are three-dimensional visions of Hades, made in mid-19th century France in postcard form. His new book Diableries: Stereoscopic Adventures In Hell presents his collection of 180 macabre, satirical 3D images by sculptors Habert and Hennetier, given three-dimensional depth and the appearance of substance by Brian’s creation The Owl Stereoscope. Co-written with Denis Pellerin and Paula Richardson Fleming, it’s May’s second stereoscopic book, after 2009’s A Village Lost And Found. Diableries: Stereoscopic Adventures In Hell is published by the London Stereoscopic Company, RRP £40.